Arch Marker - Estate Size Lawn Marker - One Line of Text. 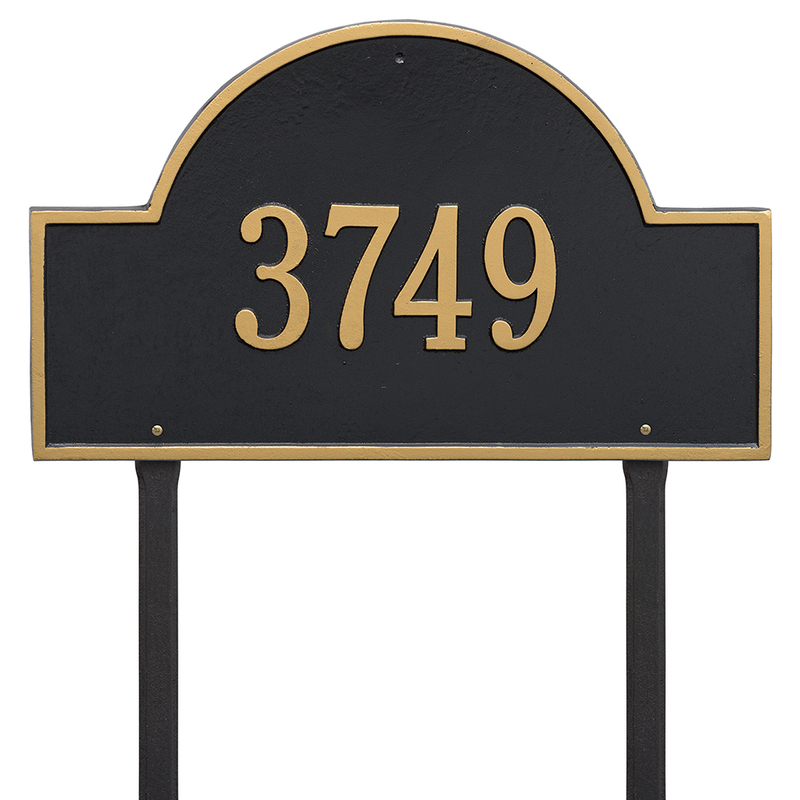 The Arch Marker - Estate Size - Address Plaque will accentuate your home exteriors with its elegance. The address plaque is made from rust-free cast aluminum providing excellent quality. The plaque has a stylish arch shape.